Biographers and historians have never managed to find any evidence that Ford ever uttered this statement, so it remains apocryphal. But the sentiment remains true to Ford’s reputation as a stubborn visionary. For investors as well as consumers, sometimes there is a difference between what we need and what we want. 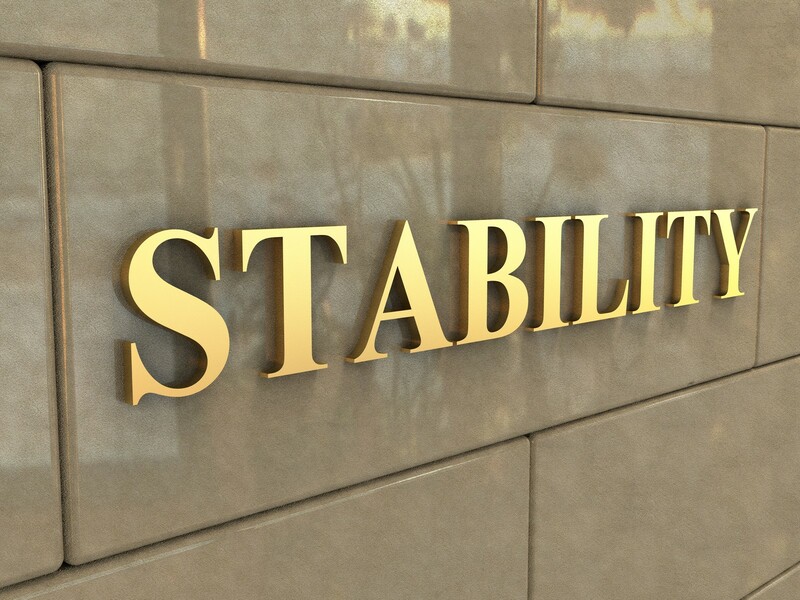 We all want stability in our portfolios: why not? But stability often comes at a cost of lower income or growth potential. If you are sure you have all the money you will ever need, it makes sense to invest for stability. If you need your money to work for you, though, you may have to hold your nose and accept volatility. If you really want stability, you can bury your money in a hole in the backyard. It will never grow, but you know that if you dig it back up you will still have what you put in. The same is not true if you invest in volatile holdings. The value of your portfolio can and certainly will go down sometimes. As painful as that is, if you can afford to wait there is a possibility that it may recover over the long run. If you just buried your cash in the backyard, there is no chance that it will suddenly produce more wealth. A long time horizon can smooth out the risks of a higher volatility portfolio, but it will not produce more gains from a more stable portfolio. If we asked new prospects what they wanted, many would probably say they wanted stability. But that is not what we are selling. Not everyone has the same risk tolerance, and different amounts of volatility are appropriate depending on financial circumstances. We still generally think that learning to tolerate volatility may be more useful than seeking stability at all costs. Clients, if you have anything to discuss, please call or email us. Posted in Tactics and tagged consumer preferences, evolution of the automobile, henry ford, horse, long term investing, long time horizon, mark leibman, oracle of louisville, risk reward ratio, risk tolerance, risk versus volatility, stability, vision, volatility, volatility tolerance on April 24, 2019 by Leibman Financial. A paradigm is a typical pattern or example of something, a model. It is a set of concepts or mindsets. We frequently find ourselves at odds with the old paradigms about investing and finance, as you know. One of the most irksome things (to us) about investing is the use of the terms ‘aggressive’ and ‘conservative’ in describing an investor’s investment objective. The industry-standard scale goes from conservative to aggressive in five steps, with prescribed mixes of stocks and bonds for portfolios at each step. At the conservative end, the portfolio would be nearly all bonds; at the aggressive end, nearly all stock. But is it really conservative to expose wealth to the long term risk of purchasing power loss and missed opportunities that accompanies investing in fixed dollar portfolios of bonds and cash? We don’t think so. An all-fixed income portfolio is typically suitable for short time horizons, where it is important to know that portfolio value will remain relatively stable. So in place of ‘conservative,’ we would use ‘short term’ to describe that end of the spectrum. By the same token, is it really aggressive to invest for growth of capital over extended periods? As difficult as it is to make one’s money last a lifetime, growth may be handy for long term investors—for many, it can be crucial to financial success. It is a new paradigm, so to speak, for describing investment objectives. It replaces abstract and unclear terms with simple, easily-understood phrases. And it avoids the unfortunate connotations of conservative as prudent and aggressive as stupid. (Doesn’t ‘aggressive driving’ really mean ‘stupid’ driving?) All in all, we think this is a more useful way for you to think about your wealth. A related issue confuses the conventional wisdom. The old paradigm mistakes volatility for risk. That may be at the heart of the misguided use of the word ‘aggressive’ since long term portfolios necessarily do fluctuate. (We explained why we believe that aspect of conventional wisdom is counterproductive in this short essay. The bottom line: we always try to think about the best way for you to meet your goals. We look at the world and strive to see it as it is, not in accordance with some stale textbook written in a different age for different conditions. We cannot know that our view is correct, and we have no guarantees. But we do work at gaining a better understanding of how to grow your wealth. Clients, if you would like to talk about this or any other aspect of your situation, please email us or call. Posted in Tactics and tagged investment objectives, mark leibman, oracle of louisville, paradigm, portfolio theory, risk model, risk tolerance, short term vs long term, time horizon on August 28, 2017 by Leibman Financial. The ability to adapt to changing conditions is what sets those who thrive apart from those who merely survive. Our portfolio theory evolves over time as economic and market conditions unfold. The problem with the textbook approach in a changing world is that a textbook, once printed, never changes. Looking at the world as it is and doing our own thinking, we see things in a new way. We believe that central bank intervention and counterproductive monetary policies have distorted pricing in the bond market and for other income-producing investments. By crushing interest rates and yields to very low levels, the old investment textbook has been made obsolete. Therefore the classic advice about the proper balance between stocks and bonds brings new and perhaps unrecognized risks, with corresponding pockets of opportunity elsewhere. Yet the classic advice met a need which still exists: how to accommodate varying needs for liquidity and tolerance of volatility. Our adaptation to this new world is the portfolio structure you see above. Our classic research-driven portfolio methods live in the Long Term Core. We believe our fundamental principles are timeless, and make sense in all conditions. But people need the use of their money to live their lives and do what they need to do. So a cash layer is needed, tailored to individual circumstances. The layer between is ballast. This refers to holdings that might be expected to fall and rise more slowly than the overall stock market. Ballast serves two purposes. It dampens volatility of the overall portfolio, thereby making it easier to live with. Ballast may serve as a source of funds for buying when the market seems to be low. The client with higher cash needs or who desires lower volatility may use the same long term core as the one who wants maximum potential returns. One may want a ‘cash-ballast-long term core’ allocation of 10%-25%-65% and the next one 4%-0%-96%. The adaptations we’ve made have generated efficiencies and therefore time—time to work individually with you on your plans and planning, time for more frequent portfolio reviews, time for more intensive research. Clients, if you would like to discuss how this structure might fit your needs, please email us or call us. Posted in Tactics and tagged conventional wisdom, mark leibman, modern portfolio theory, oracle of louisville, portfolio construction, portfolio management, risk tolerance, volatility on May 30, 2017 by Leibman Financial. Two popular trends in the investment business may be affecting the financial health of clients. In my opinion the use of “risk tolerance assessment” tools, combined with the trend toward model portfolios, may be good for advisors and bad for the customer. 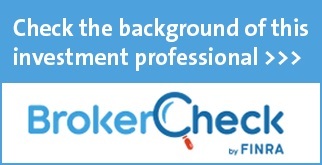 Many advisors use risk tolerance assessments. The issue is that when markets are lovely and rising, these tests have the potential to show that risk tolerance is high based on the client’s response. When markets are ugly and falling, they have the potential to show risk tolerance is low based on the client’s response. These tests measure changing conditions, not some fixed internal thermostat. The potential for mischief comes into play when the results are tied to model portfolios. A lower risk tolerance potentially gets you a portfolio with less chance for long term growth, lower exposure to fluctuating but rewarding markets, and more supposedly stable investments with smaller potential returns. So the market goes down, risk tolerance goes down, and people may sell out at low points. Conversely, when markets go up, risk tolerance goes up, and people may buy in at high points. The old rule is ‘buy low, sell high.’ It is my opinion that the supposedly scientific approach of risk tolerance assessment tied to model portfolios encourages people to do exactly the opposite. It appears to be objective, almost scientific. The pie charts are impressive. But the process panders to the worst elements of untrained human nature—and actual investment outcomes may show it. It is as if the cardiologist, upon learning that a patient dislikes sweating, prescribes sitting on the couch instead of exercise. Or if a pediatrician first assesses a child’s tolerance for icky-tasting medicine, then tailors his prescription accordingly. We believe that people can handle the truth. Our experience says people can learn to understand and live with volatility on some fraction of their wealth in order to strive for long term returns. So the first step in our process is to determine if a prospective client can be an effective investor. It doesn’t matter to us whether they were born with great instincts or are trainable—we provide support and education through all kinds of markets. It takes a lot of effort, but we do it because of the results it may provide. If you need a refresher on the ‘buy low, sell high’ thing or would like to discuss how this affects your plans and planning, please write or call. Posted in Tactics and tagged contrarian investing, cyclical markets, financial advice, financial prescriptions, mark leibman, risk management, risk tolerance on February 8, 2017 by Leibman Financial. For many years, we have specialized in total return investing. If the fruit crop is enough to live on, we haven’t needed to care what the neighbor would pay for the orchard. We have promoted the idea that living with volatility is rewarding. The concept seemed right for the times, since the prevailing low interest rates offer little return on fixed investments. This traditional core approach hasn’t been right for everyone. Some lack the confidence that we will overcome our challenges, persevere, and continue to grow and thrive. Others just can’t tolerate the ups and downs of long term investing. While our approach is not right for everyone, some of the alternatives are not good either. Consequently, we have come to the realization that we can do a better job for you and others if we offer a range of options. One client on the verge of retirement has a more pessimistic view of the future than we do. He concluded he ought to put half of his wealth in capital preservation strategies that are likely to hold the money together in case of disaster. And he also concluded that the growth potential of our core approach could be an important hedge against rising cost of living in the years ahead. So he ended up with a 50/50 split based on the idea that he might be right, or we might be right—and the best course was some of each instead of all of one or all of the other. A retired couple has been comfortable with our approach, but felt that 20% in more stable strategies would offer some preservation against unexpected major health problems. Others understand and like our traditional approach, and have no desire to change a thing. The key is, each person may make their own decision about the tradeoff between stability and growth. So we will be bringing our values and principles to a wider range of options. We’ll be at home with a range of viewpoints and investment objectives. On the capital preservation side, we will bring our research strengths to attempt to avoid the major sources of risk and to find opportunity where we can. That old “buy low, sell high” thing continues to influence our thinking. We won’t be interested in helping people sell out at the wrong time by getting more conservative at low points. Nor will we want to see people getting enthusiastic and more aggressive at market high points. The new structure of offerings is intended to help people find the portfolio they can live with in all market conditions—and be able to do that in our shop if they choose. As always, if you have questions or concerns or would like an expanded discussion about your circumstances, please email or call. Posted in Tactics and tagged capital preservation, investment allocation, investment objectives, investment options, investment tactics, mark leibman, risk tolerance on August 3, 2016 by Leibman Financial. The first theory of economists was that human beings act rationally. When they realized they needed a new theory, the field of Behavioral Economics was born. One of the key findings of Behavioral Economics is that the pain of a loss is twice as great as the pleasure of a corresponding gain. Rationally speaking, if you earn $5 it should feel just as satisfying as if you earned $10 and then lost $5 of that—but we still feel the sting of the loss harder, even though the outcome is the same. If people weigh these two otherwise identical outcomes differently, when it comes time to invest they will wind up paying more for $5 earned in stable investments than they would for $5 earned in volatile investments. There is no shortage of expensive products designed to pander to this tendency by selling the promise of stability at a premium. The necessary conclusion we see—the one nobody else seems to—is that if the price of stability is too high, the potential rewards for enduring volatility must be larger than they otherwise should be. These concepts shape our work, our strategies, and our tactics. “The pain of a loss” is determined by one’s mindset, training, and understanding. Many great investors (and many of our clients) feel no pain over short-term losses. Some are even gleeful at the chance to buy securities at bargain prices. One of our roles is to help you develop more productive and effective attitudes about investing, and we believe that by training yourself out of irrational pain over short-term volatility you can perform better in the long run. The opinions voiced in this material are for general information only and are not intended to provide specific investment advice or recommendations for any individual. The illustration is hypothetical and is not representative of any specific investment. Your results may vary. Posted in Tactics and tagged behavioral economics, economics, investment principles, mark leibman, risk, risk tolerance, stability, volatility on August 27, 2015 by Leibman Financial.